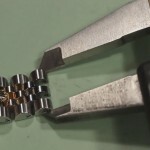 Several watch bands other than Rolex watches are held together with the Rolex style screws. If you need to replace watch screws like this, you’ll need to measure the screw to find the right replacement screw. 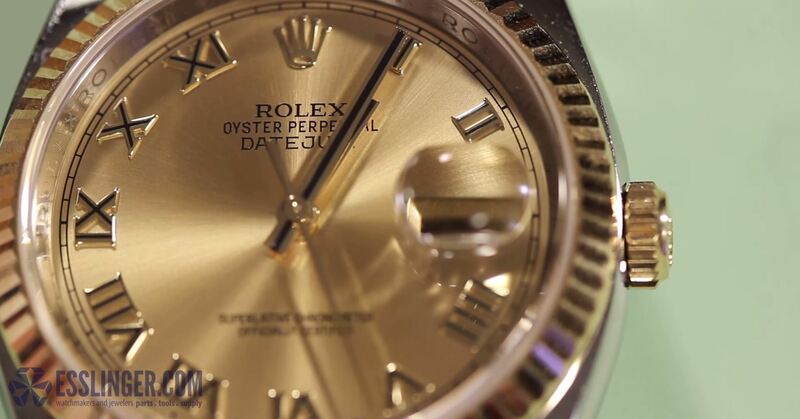 Use this guide to learn how to measure your Rolex style screw. 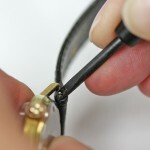 Before you can measure the screw, you will first need to remove it from your watch band. 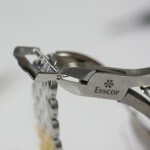 To learn How to Remove a Rolex Style Screw, you can check out this link. Take the loose screw and hold it in your hand so one end is free. Use your digital gauge to measure the outside diameter of the first end of the screw pin. Start by opening the jaws wider and positioning the screw in between them. 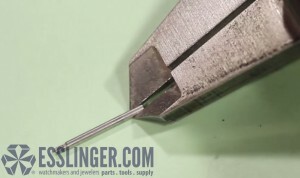 Then close the jaws snugly around the end of the pin and record the measurement. You’ll want to take this measurement more than once to ensure an accurate result. Next, turn the screw over so you can measure the outside diameter of the other end of the screw, the threaded end. Open the jaws of your digital gauge and position the threaded end of the screw link in between them, like this. Close the jaws until they fit on the end of the screw securely. Be sure to take the measurement a second time to ensure the right result. Finally, you’ll need to measure the length of the screw. 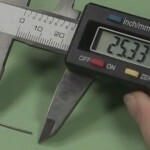 Lay it down flat on your work surface and open the jaws of your digital gauge wider than the screw. 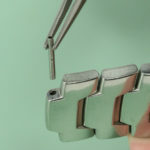 Position the screw between the jaws of the gauge and close them around the screw securely and record the measurement. Be sure to measure the length more than once, to verify your results. 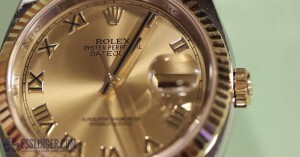 Then, with your measurements in hand, you can now order new Rolex style screws for you watch band. To learn how to put your back together, or how to do other simple watch repairs, check out the rest of our Learning Center.